You are currently browsing the tag archive for the ‘Virginia Union University’ tag. 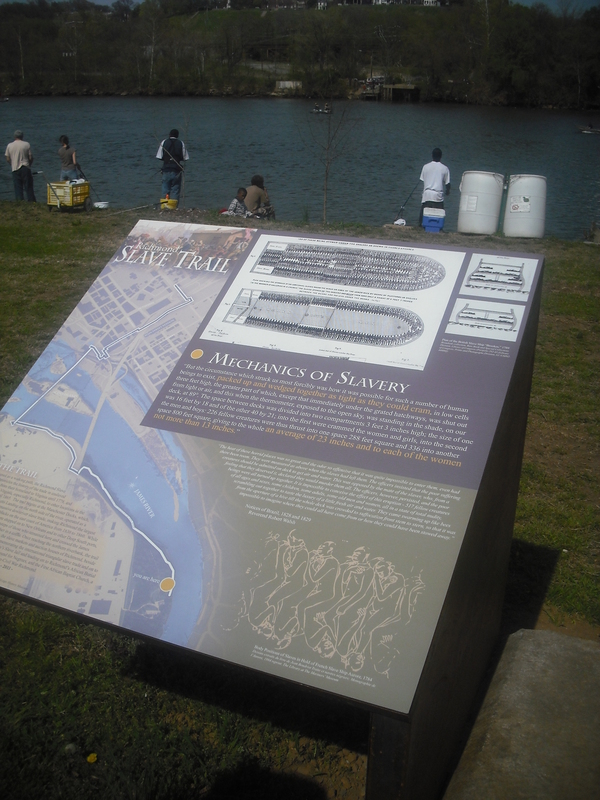 Richmond has finally marked the 2.5 mile Slave Trail that tells the story of slavery and its consequences in Richmond and the U.S. with 17 handsome and instructive markers that make the journey well worth it now, even without a guide. As a Friend of James River Park, where the trail begins, I was with Ralph White, James River Park System park manager, to help unveil the second marker near the old Manchester Docks where Africans centuries ago disembarked from slave ships to find more misery in Virginia. Later hundreds of thousands were shipped from Richmond, “sold down the river,” when Virginia had excess slaves that the states in the deep South wanted. A small group of us read the litany with him, promising to remember those who had passed through here, denied their dignity and rights, and acknowledge their strength, survival skills, and stories and those of their descendants. 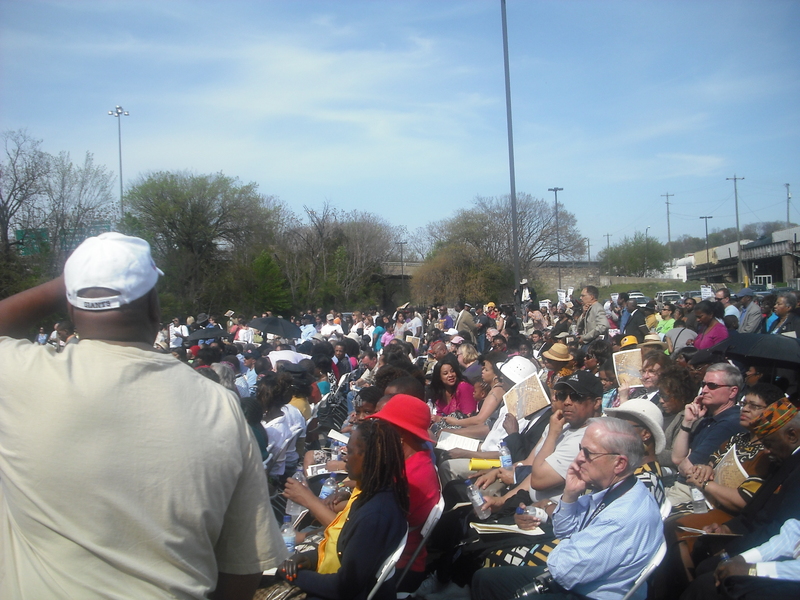 Later at the big ceremony at the Lumpkin’s Slave Jail site, where Governor McDonnell, Mayor Jones, Congressman Scott, Delegate and Slave Trail Commission Chair Delores McQuinn and many other dignitaries spoke to a crowd of nearly 1000 people of all ages and complexions, I teared up several times. Once when Claude Perkins, president of Virginia Union University, which rose from an earlier incarnation of a school for free blacks on the same site where the notorious slave jail had been, asked everyone in the audience who ever attended VUU to stand up. Such a proud moment. Goosebumps. I could feel the connections over the centuries vibrating in the air. I’m getting teary-eyed just thinking about it. It made it clear that the trail is much longer than two and a half miles and it commemorates much more than slavery. When the One Voice Chorus sang a spiritual and James Weldon Johnson’s Lift Every Voice and Sing, and I saw so many people singing along, that got me, too, and then when the Mayor let it rip with his Sunday best, I was about ready to sign up for church again. It was nice to see Del. McQuinn lauded for her tireless work to get this thing going. I wouldn’t bet against her when it comes to future plans she hinted at. Thank goodness one of the last speakers recognized Ralph White, Nathan Burrell, and Peter Bruce for all the work they’ve put in to taking care of the Slave Trail for 18 years with approximately no budget. Peter Bruce and his helpers have done so much for so long. 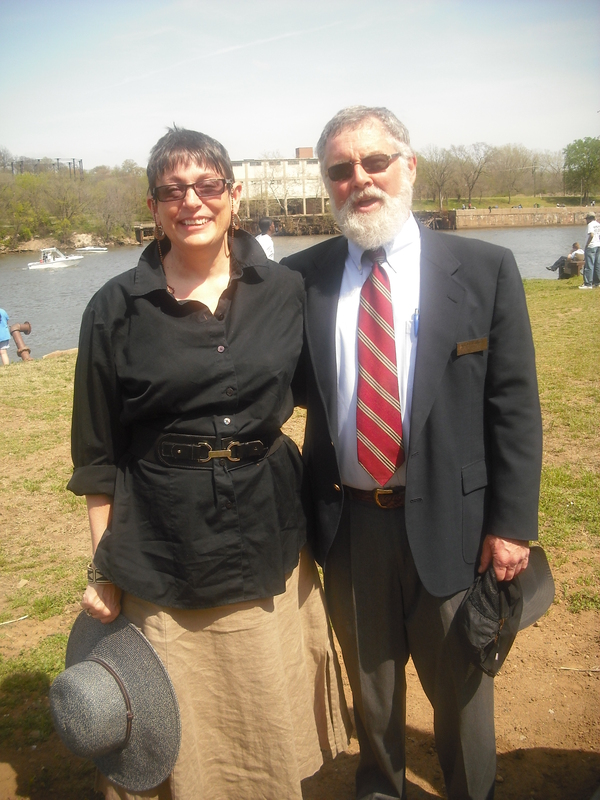 Cricket and Ralph White were instrumental in making the trail whole. They were a huge part of the group who turned what looked like nothing into one of the best somethings Richmond has to offer. I wish that everyone who ever sets foot in Richmond walks this trail. And remember, it’s bad form to complain about ANYTHING on the slave trail. 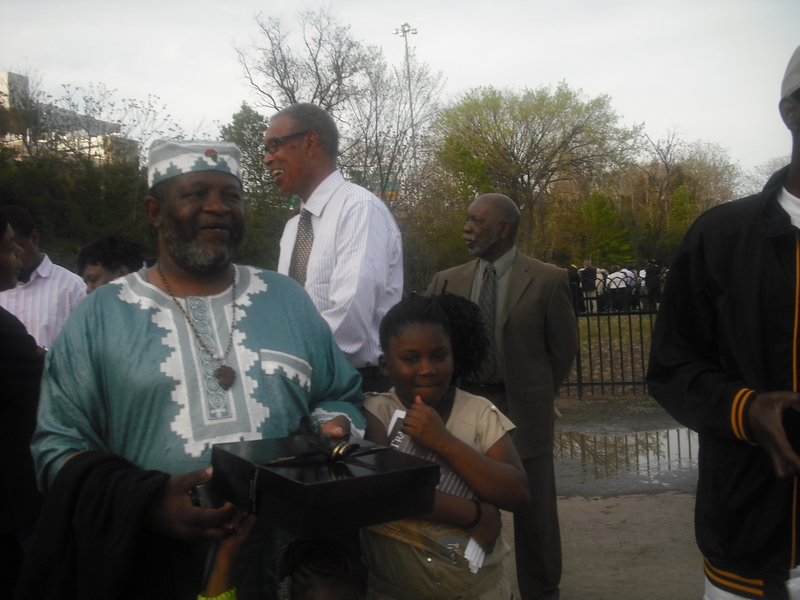 Elegba Folklore Society’s torchlit trail walk will be June 18th this year. Put it on your calendar.